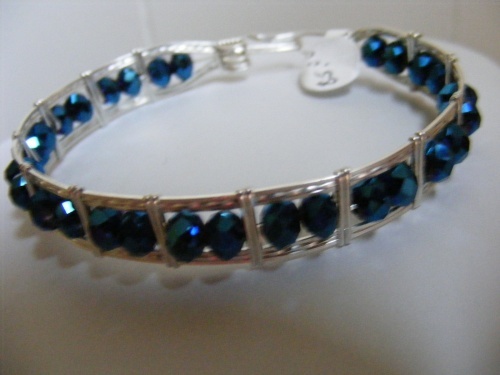 This beautiful sterling silver cuff has navy blue crystals making the color really dramatic against the silver. Piece is solid and very comfortable to wear. Not heavy at all. Can be made any size to suit. Please select size from drop down menu.